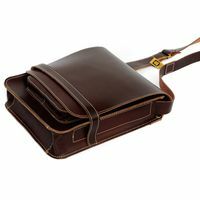 This practical shoulder bag in A4 upright format is made out of firm, high quality cow leather and is based on an old map case from Russian production, which Mr. Jahn had found on a second hand market once. The timeless nice design of this bag fascinated so much with its simple elegance that he decided to reintroduce exactly that kind of solid cross body bag. 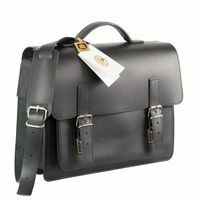 The result is a chic messenger bag which stands out with its robustness and its persistence. 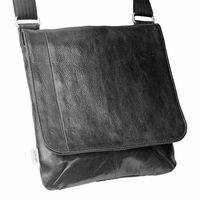 The practical shoulder bag in size M has become a real eye-catcher which also men will enjoy, who normally are not interested in handbags. 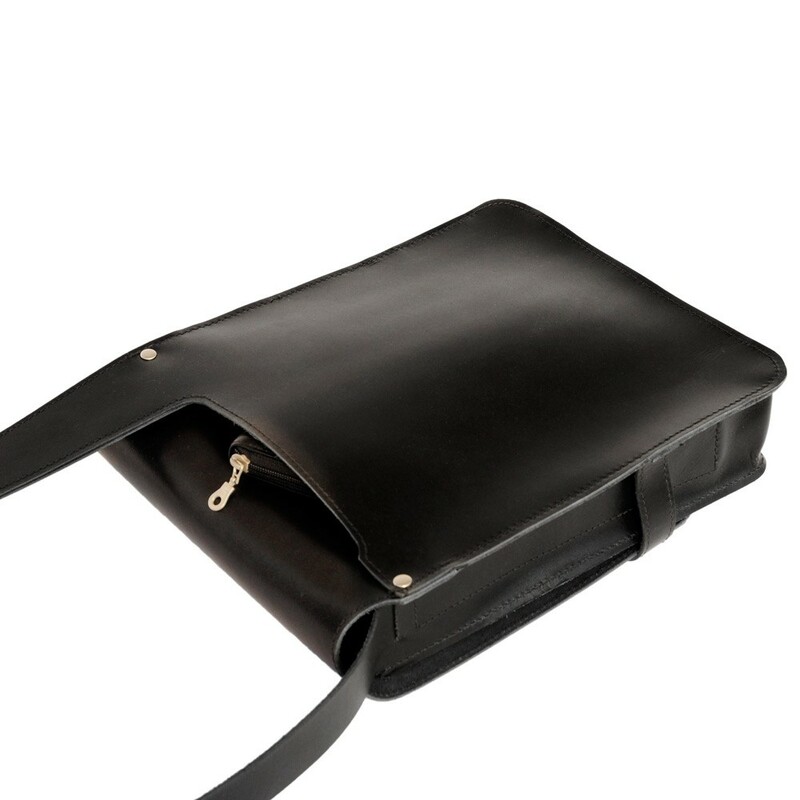 If you prefer this sturdy shoulder bag of the same design in a slightly smaller format, please choose model 684 from our leather bags. 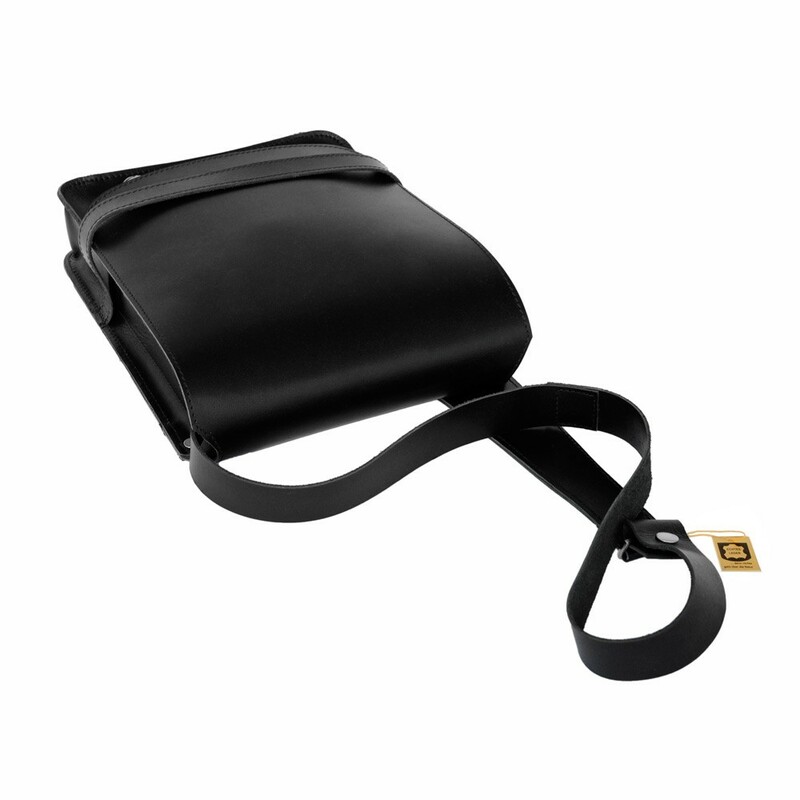 The cross body bag is solidly crafted out of firm saddle leather and very durable that way. In case you should manage to do damage to a part of this leather bag anyway, one can easily repair the bag. 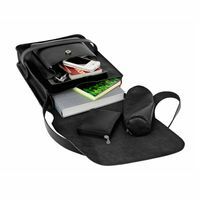 All items which you want to have with you on the go and you do not want to or can stuff into all your trouser and jacket pockets, fit into this medium-sized satchel in A4 upright format. The main compartment e.g. fits a tablet computer just like that. 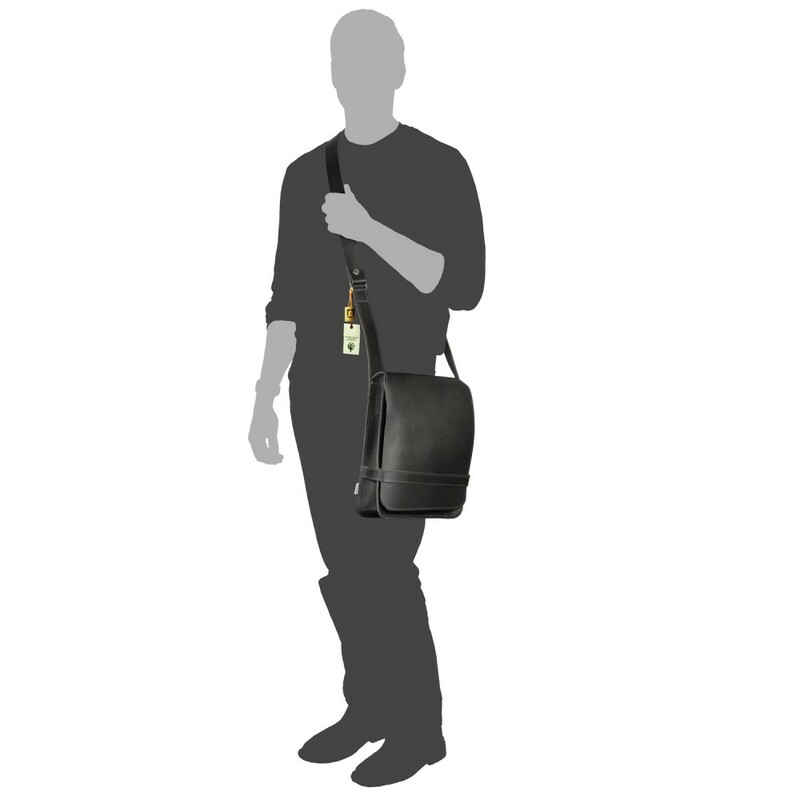 But if you leave without a handbag, the tablet or A4 documents must stay at home. 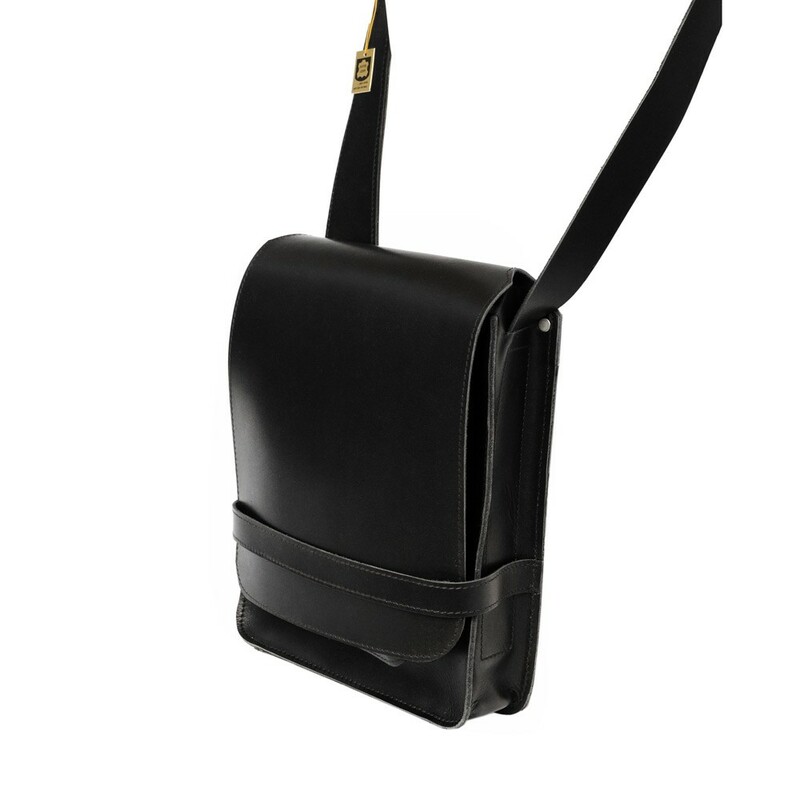 On the back of the bag, faced directly to the body, there is a “secret pocket”, which is not visible at first glance. 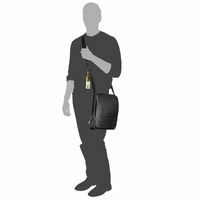 There you can stow items, which you always want to have at hand immediately, but which should not be seen by everyone right away, e.g. important identification papers or a wallet. The exterior front pocket fits various bric-a-brac best, which you usually have with you and that should not fly loosely around the main compartment. 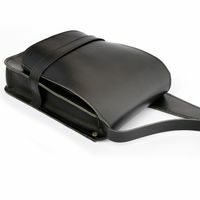 You can close the front pocket with a magnetic snap and in addition, the large flap, which you pull through a leather band, secures the smaller front pockets. 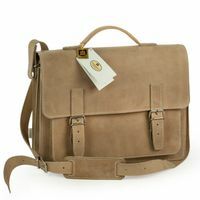 All in all, a casual-robust shoulder bag for men, who thought handbags were silly up to now. Don’t worry, you will not do anything wrong with this athletic masculine model!